A video can tell you more than a book sometimes, in today’s world people spend much time watching online video than ever, and study has shown that video do help to explain something, when you read a book, you may get the information abstractly, a related video can make the content vivid and easy-to-understand. Considering this case, the A-PDF FlipBook Creator Pro software enables you to add YouTube video that can be view on both PC and mobile. In PC, the video can play right on the book page, and in mobile version you can add a link of YouTube video and allow the reader to open the link. You can follow below tutorial to do this. 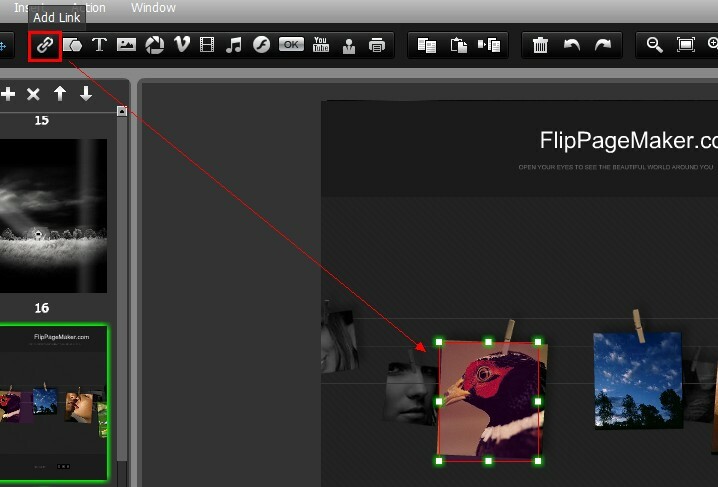 Step 1 : Launch FlipBook Creator Pro and design your flipbook project. Step 2 : In page editor, choose the link tool, then drag an area on page to insert link, and configure the link properties. Step 3 : Save previous settings. Publish flipbook in html format and make mobile version.